If you often give money to someone to spend on Amazon, then you should take advantage of a hidden feature 20 Awesome but Hidden Amazon Features You Can't Afford to Ignore 20 Awesome but Hidden Amazon Features You Can't Afford to Ignore Amazon is packed with cool features that can make your life easier. Here are 20 useful perks that you can take advantage of right now without paying an extra cent. Read More that lets you directly send money as an Amazon gift balance. You can add money to recipient’s Amazon gift balance via credit card, gift card, or similar payment means. This option is perfect for giving your kids an allowance 4 Tricks to Make Your Kids Become Responsible Savers 4 Tricks to Make Your Kids Become Responsible Savers Learning how to save money isn't something they teach in school. You can give your child a helping hand with these awesome tricks. Read More , for example. And because you can set up a recurring transfer, it frees you from having to buy gift cards all the time. Visit Amazon and click the Account & Lists tab. Under the More ways to pay header, select Allowances. Here, you’ll need to enter a title (Sam’s Allowance, for example), along with their account email address and your name. Finally, select the amount of money to send, how often to deposit (Monthly is the least frequent, but you can select One-time or even Daily), and the starting date. Pick a start date, then click Sign In to Continue. Log into Amazon and select the payment method that you want to fund this allowance. Make sure it will have the funds available to pay regularly. Once done, just hit the Create Allowance button and you’re all set. Whether your kids are in college and you want to help them out with books, or this will be your child’s first allowance, Amazon’s Allowance feature is pretty handy. It might even serve as a gateway to having family conversations about money How to Talk to Family About Money & Tools That Can Help How to Talk to Family About Money & Tools That Can Help Money talks are never easy, but they're more important than you might realize. Here are three groups of people you should be talking about money with, and some tips on how to get started. Read More . 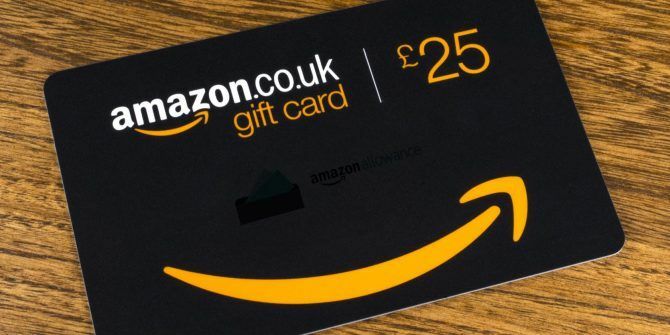 Who do you give an Amazon Allowance to? Do you think it’s convenient? Tell us your thoughts in the comments! Explore more about: Amazon, Money Management, Personal Finance.